New. Text in Spanish, English. Trade paperback (US). 24 p. Contains: Illustrations, color. 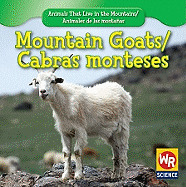 Animals That Live in the Mountains/Animales de Las Montanas. Intended for a juvenile audience.